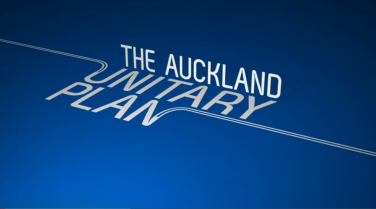 Auckland Council’s Unitary Plan has been in the news lately. Although I have some sympathy for Council’s position announced in December 2015 I think the process could and should have been handled better. Some historical context is important. As part of the amalgamation process the Government decided that the new Council should have a super duper new plan which amalgamated pretty well the full contents of the eight district plans of the territorial local authorities. The proposal, contained in the Local Government (Auckland Transitional Provisions) Act 2010 was really brave. The new plan was to meet the requirements of a regional policy statement, a regional plan, including a regional coastal plan, and a district plan. Parts of the islands in the Gulf Harbour were not included. Council and the Hearings Panel were given three years to get the plan adopted. There are limited appeal rights. The Environment Court can hear appeals on recommendations of the Hearings Panel that the Council rejects. Otherwise on any recommendation the Council accepts the only recourse a submitter has is to appeal to the High Court on a point of law. Council has prepared and notified the draft unitary plan. Notification occurred on September 30, 2013. Hearings are well under way but clearly the pressure to get the matter concluded is intense. In December Council decided to adjust its position. It proposed increased intensification in parts of Auckland. This graph from Transport Blog shows the overall effect of the changes. In general terms they are not major although the localised effect on individual properties is potentially significant. Council has been under intense pressure to back away from the changes. Groups such as Auckland 2040 are urging that the changes be not approved and that Council sticks to its original position as set out in the draft Unitary Plan. Last week, about 660 people attended a meeting in Kohimarama to hear about the changes – one of the biggest public meetings on a local issue in the past 20 years. Auckland 2040 spokesman Richard Burton said the “radical changes are undemocratic and indefensible”. It was not about intensification, he said, but an abuse of process. One of the major concerns is that residents who saw the content of the original Unitary Plan and decided to accept what was being proposed now find themselves facing an entirely different proposal, and as they have not submitted they have very limited legal rights, essentially to seek judicial review of the decision. Although I can understand the concerns I wonder if the changes, if enacted, would make as much difference as has been claimed. The contents of the plan do not make redevelopment compulsory. Individual land owners are free to keep their properties as they currently are. The danger is that their neighbours will redevelop and affect their sense of privacy and their light and their perception of their neighbourhood but this is not a new phenomenon. But the vagaries of the consenting process may mean that this occurs anyway, even if the original rules are retained. Auckland needs to grow up and not out. If we want to preserve the Waitakere Ranges then intensification needs to occur within current city limits and urban sprawl stopped. This is important not only so that we can preserve our pristine areas but a compact city has a smaller adverse effect on the environment. It can be done well. Paris has 50% more residents per hectare than Auckland and is a very liveable city. As long as development is done properly with good urban designing city living can be improved. And we are in the middle of a housing crisis. It will not be fixed unless intensification occurs. Smaller dwellings and apartments will deliver affordability in places where people want to live. And the current system is insane. I find that I am suddenly a millionaire but my children face no realistic prospect of owning their property in the way that I did. This has huge implications for the city’s future. This needs to change. The Government was previously supporters of sprawl but now accepts that intensification is vital. John Key believes that first home buyers should consider buying an apartment. Nick Smith wants the Unitary Plan to be in place so that the special housing areas process has something to replace it. In legal terms Auckland Council is allowed to do what it is doing. Adjusting its position is something that happens regularly. Opposing views are presented and Council regularly changes its position to respond to opposing views. But should it have done this? The lawyer in me says there is nothing stopping it but the politician in me says that things should have been done differently. Residents ought to be able to rely on the initial position adopted by Council in deciding what to say about the proposed plan. The intention to make the change, which I understand has been on the drawing board for some time, as well as some of the details, could have been announced earlier. The basic problem is that the Government when setting the system up required a huge job to be done in such a short time and refused to allow affected parties the right to contest a decision even if they decided not to participate because the initial position was something they could agree to. The right has not helped things. Right wing councillors have stirred things up and accentuated opposition while at the same time Nick Smith has refused to allow the Council further time so that it can consult on the proposed changes. Auckland Council is caught in a pincer movement where it is damned if it consults and damned if it does not. The information process has also not helped. In fact it has been shambolic. I have tried to find out what the changes mean but this has not been easy. Council’s release in December explaining the changes has broken links to the maps. I understand the links were removed because the Hearings Committee wants to control the release of evidence but this is not publicised anywhere. To find out what was happening out west I was directed to go to the Hearings Committee website and told to locate the document titled “Topic 081d Rezoning and Precincts (Geographical Areas) – Auckland Council Evidence WEST” and to click on the “Evidence” tab to download the documents. 29 documents later and my levels of confusion and frustration were exacerbated. My personal view is that while intensification is important so is the political sanctity of the process and the need to make sure that citizens are informed on what is happening and have a meaningful say. Council is to debate the changes this Wednesday. It is looking likely that it will back down from the proposed changes. But as an indication of how ill informed the public is the agenda currently has essentially no detail in it. There has to be a better way. Perhaps the Council should stick to the original position and satisfy itself with applying for a plan change after the Unitary Plan has been ratified.